Home Knowledge Base How to Support is not available on items downloaded through Elements. Support is not available on items downloaded through Elements. According to Envato’s policy, support is not available on items downloaded through Elements, it means that there is no theme or plugin author will be required or expected to support Elements subscribers (You can consult this article from Envato/Themeforest for more details: https://themeforest.net/page/item_support_policy). To enable access to support, Elements themes and plugins will need to also be available on Envato Market. Elements subscribers must purchase a license for the item on ThemeForest or CodeCanyon if they’d like to obtain support. – Answer questions related to the theme. – Provide some guidance on the way the item is designed. – Help you with issues related to using the item and getting the most value out of its functionality. – Answer questions about third-party assets or functionality (e.g. plug-ins) bundled with the item, such as how they work and other technical questions. – Find the bugs, conflict related to the third party plugins. If you would like to have obtained support of the G5 team, you have to purchase our themes. 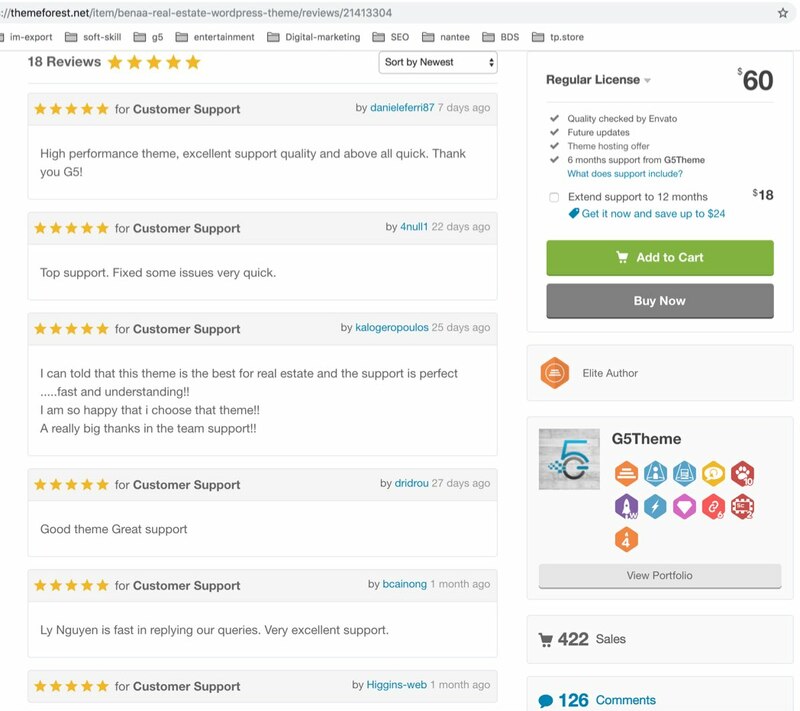 The support service is our top priority with each theme, so G5Theme’s assistance department has a good rating on ThemeForest. With quick response, the questions or tickets are all solved in 24 hours. you will satisfied with this service. We are glad to assist you. Hopefully, this article is helpful enough to helps you know Support’s From Elements problem . See you again in other tutorial! badge SALE, PROMO, HOR – how to make it bigger/longer? how to add the raw t shop page?